14-year-old Hanifa is one of Afghanistan’s most talented skaters. Starting out in Skateistan’s creative arts and skateboarding program, Hanifa began as a student but has quickly become an excellent female role model and an inspiring teacher. Since first joining the Skateistan program in 2010, she has gone from selling tea in a local park to joining Skateistan’s staff in Kabul as a skateboard instructor where she regularly teaches skateboard classes and takes part in weekly staff development training sessions. Hanifa has also enrolled in Skateistan’s Back-to-School program which will help catch up on studies and return to public school with her peers. She believes that by becoming a good skater she’ll make a better future for herself. 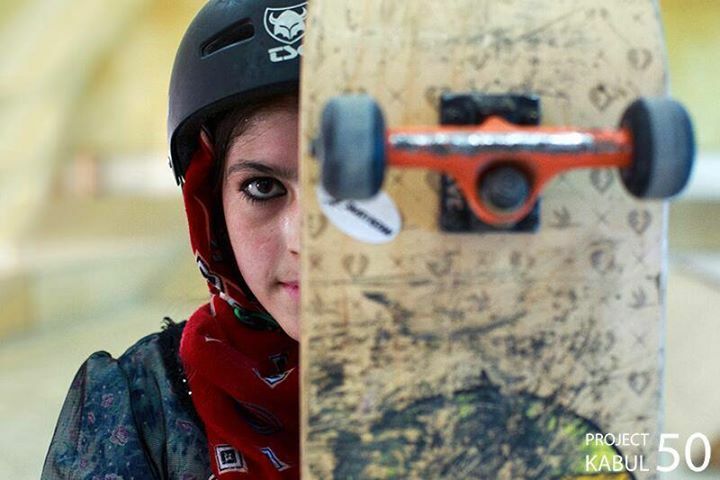 Keep Skateistan Rolling – Hanifa’s Story (Afghanistan) from Skateistan on Vimeo.